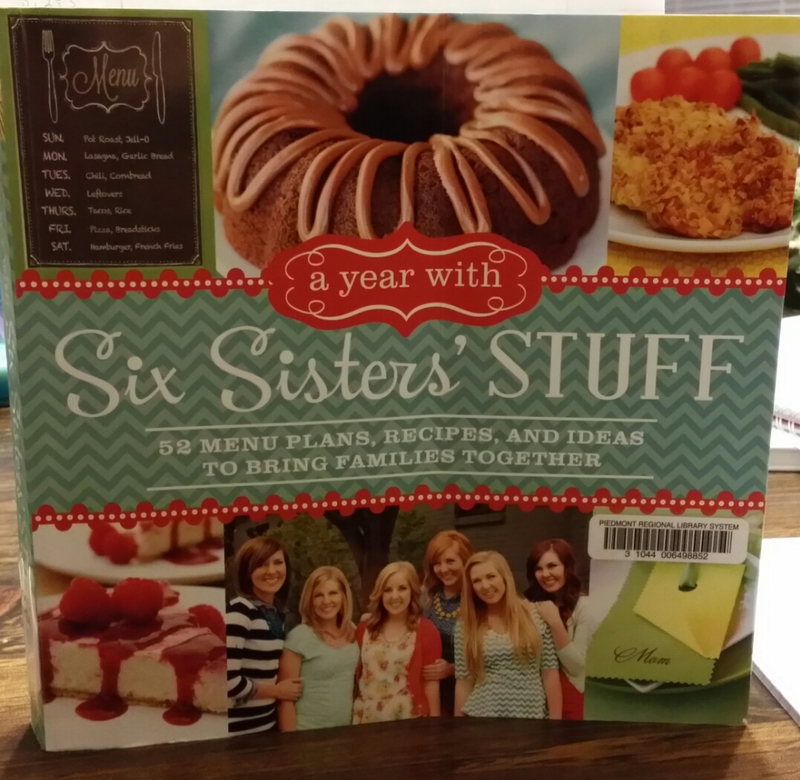 So for January we have been using the Six Sisters Stuff 52 Menu Plans cookbook. Our first recipe we tried was for Aloha Burgers. I did change up my recipe from the directions and it still came out perfect. The original recipe makes 4 burgers. I used a bit more hamburger than they called for but I have 6 people to feed. I also tend to make burgers that shrink a lot so I make more than needed just in case. The original recipe calls for making 4 patties then letting them sit in the teriyaki sauce for 30 minutes to marinate. What I did instead was to chop an onion and pineapple rings extremely fine. I then mixed them into my hamburger. I poured the teriyaki sauce into the hamburger and mixed together. I did not use the whole cup. I eyeballed it and put just enough to moisten the meat with it. I then marinated like the recipe suggested. I had a picture of this but decided it did not look very appealing to look at. 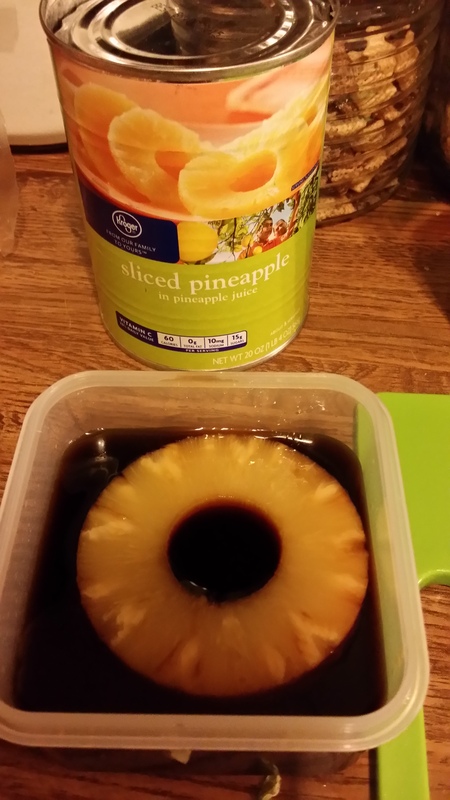 Next the recipe says to marinate 4 pineapple rings in the 1 cup of teriyaki sauce. I did this but not with the intention of using it for the burgers like the recipe says. Instead, I used the marinated pineapple in stir fried rice. After the hamburger was marinated, I made it into patties and cooked in a pan on the stove. I think next time I will use grill even if it is 30 degrees outside! 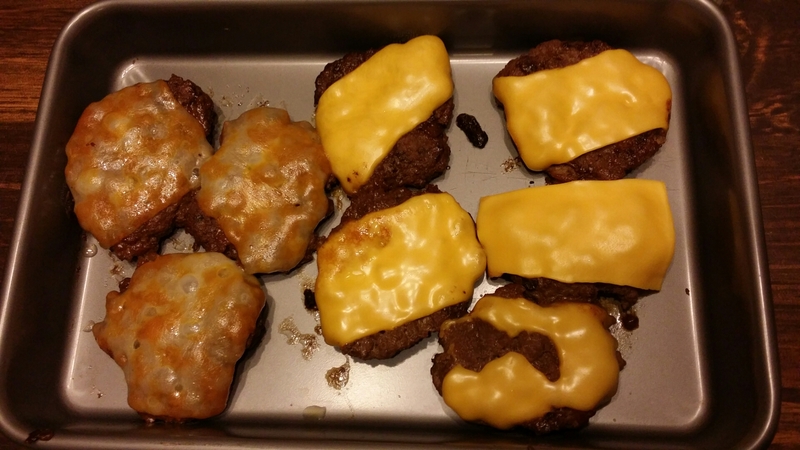 When they were about done, I added a slice of cheddar to each burger and cooked until cheese was just melting. I just eyeball this recipe. Place about 1/2 tablespoon oil in frying pan and heat on medium. Add a chopped onion and saute until almost soft. Add in the rice and stir to mix. I then add my canned vegetables or steamed vegetables at this stage. I added corn and peas. Turn heat down a bit and cooked until the vegetables are heated. Keep stirring so the rice doesn’t stick and burn. When this is done, I push it all to one side of the pan. 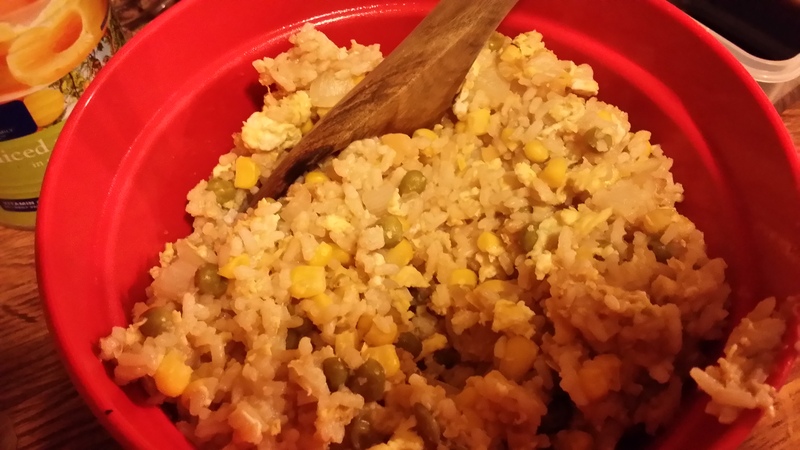 I crack and whisk about 3-4 eggs in a bowl then add them to the side of the pan that does not contain the rice. Scramble them as normal. When almost done, I stir them into the rice. Spread the rice out and stir for 2 more minutes to make sure the eggs are set. At the end I add about 2-3 tablespoons of soy sauce and stir to incorporate. That’s it. That’s my easy fried rice. We did not eat our burgers on buns but had the patties with some rice and green beans. Please visit the Six Sisters Stuff site for more wonderful recipes and crafts.